More and more people are losing their jobs and their homes with the economic downtrend. After you are left with almost nothing, the waiting period for getting a mortgage after bankruptcy is two years. After this period, you will have an easier chance of applying for a new mortgage. The good news is you are again qualified to get 100% financing, following some conditions, of course. One of the most important of these conditions is that after you have declared bankruptcy, the credit bureau has a report and record that most of your payments were paid on time. The top ten tips listed here are meant to guide you through the steps on securing another mortgage loan. These are effective ways to help improve your chances of getting financing after living in bankruptcy. Mortgage lenders will only consider a new mortgage application after two years. This is not standard, though as there are some mortgage lenders will only consider approval of an application after three years. Moreover, it is possible to circumvent the waiting period, it you are willing to pay the down payment or willing to settle for a higher interest rate on the loan, whichever is more beneficial to you and subject to your financial capability. 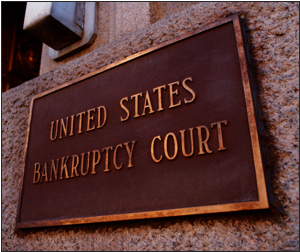 Your financial capability after you have declared bankruptcy will be subject to scrutiny. 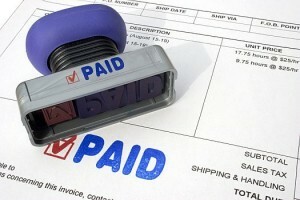 During the waiting period, the financing company will review how faithful you have been in the payment of your bills. You should have proof that it has been reported to the credit bureau and that there is concrete evidence of your regular payments. Realistically you have to accept that one of the conditions of securing another mortgage loan is to settle for one with a much higher interest rate, or make it lower by making a hefty down payment. It is not only your improved credit rating that could help. You have to strengthen other factors that would support your renewed efforts to secure a new home loan. This includes your employment history, the homes-to-loan value, your current income, the down payment you are able to pay and your debt-to-income ratio. 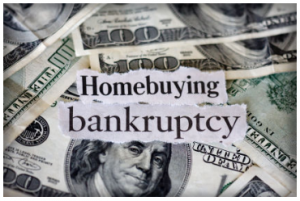 It is an arduous climb to get back on your feet after you’ve gone down but it does not mean that your chances of getting a mortgage after bankruptcy are slim. It is just that mortgage lenders are worried about getting back their investment. But be assured that they are willing to be fair and give chances to applicants. While you are able to apply for a new mortgage loan two or three years after the discharge of your bankruptcy, you have to understand how long the records are kept in your credit history. If you have filed a Chapter 13 bankruptcy, which stops foreclosure and allow you to keep your possessions while organizing a more affordable monthly payment regularly, the record is kept for seven years. On the other hand, if you have filed a Chapter 7 bankruptcy, which wipes out your unsecured debts like payday loans, some loans that are personal as well as medical and credit card bills, the record stays in your credit history for 10 years. As you continue your regular monthly payments, your credit rating will rise, however, which is a vital factor when applying for a new mortgage loan. Remind yourself that you need to be patient and persistent during this waiting period as your future depends on them. Be conscientious and keep your agreed monthly payments on schedule to rebuild your credit rating. Everything that you do at this stage will count to your success in securing a new mortgage loan. It might be difficult initially but with proper management, this is workable. This action cannot be stressed enough. On time payments is one the most pressing conditions after you’ve filed for bankruptcy. Set a budget and work within it. And if you have secured a credit card and small loans, be sure that you only use about 30% of the credit limit, which should be paid in full each month. 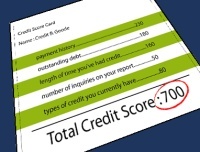 This helps toward increasing your credit score. Be reminded that if you default in your loan payments after bankruptcy, it is next to impossible for you to secure another mortgage loan. You will be having a difficult time managing your personal and financial affairs as it is. Remove the worry of handling your new mortgage applications by hiring a mortgage broker, as he can make the process of finding a new mortgage easier for you. His expert assistance will help you to secure and submit all the information and documents for you. If you have expert help, you still have two options to find lenders. There is the traditional lender and the online lender. 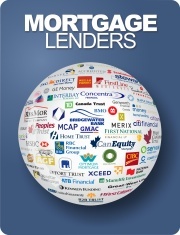 With a traditional lender, every phase of the application and approval process is done face-to-face. It might take time to make comparisons, which is the advantage given by online lenders. In their case, you can make rate comparisons immediately. A mortgage broker can go through the fine print for you to check for loopholes in the agreement. So find the option that will benefit you the best. Rather than settle for higher interest rate on the mortgage, consider asking your relative for a loan to come up with a down payment fund. After you have paid the down payment, you could take a second or a third mortgage for your house’s full value, which will then allow you to pay the loan from your relative. 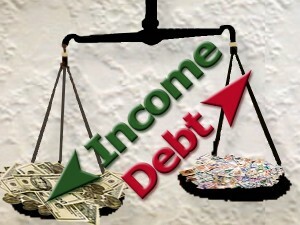 However, a loan from a relative should be disclosed to the lender. Find out how you can qualify for down payment assistance programs like a grant, Nehemiah or Neighborhood Gold. You might also consider cashing out your 401K. The wait period after bankruptcy is variable. While it may say you need to wait for two years, it would be best to improve your credit rating first and postpone the buying a new house. If you are determined to get a new house, your option is to find a high-risk or a sub-prime mortgage lender. 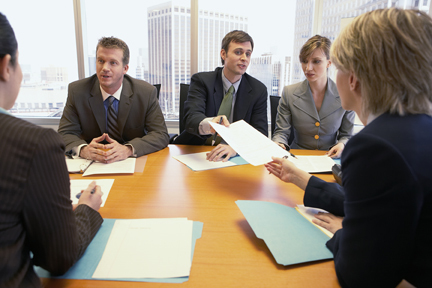 Be prepared to present a detailed mortgage application to guarantee a loan. This includes recent pay slips, two-year tax returns, bankruptcy discharge papers, written explanations, summary of liquid assets and bank account information. For individuals who do not want their finances disclosed and self-employed borrowers, you might want to use the no-doc or low-doc mortgage approach. The harsh reality is that once you have declared bankruptcy, the road to securing a loan is difficult. But with persistence, patience, and the willingness to rebuild your credit rating and regain your former status, these are some of the top tips to getting a mortgage after bankruptcy.